Language Survival Kits were developed by the U.S. Defense Language Institute. Their purpose is to serve as “quick reference booklets for deploying service members”. 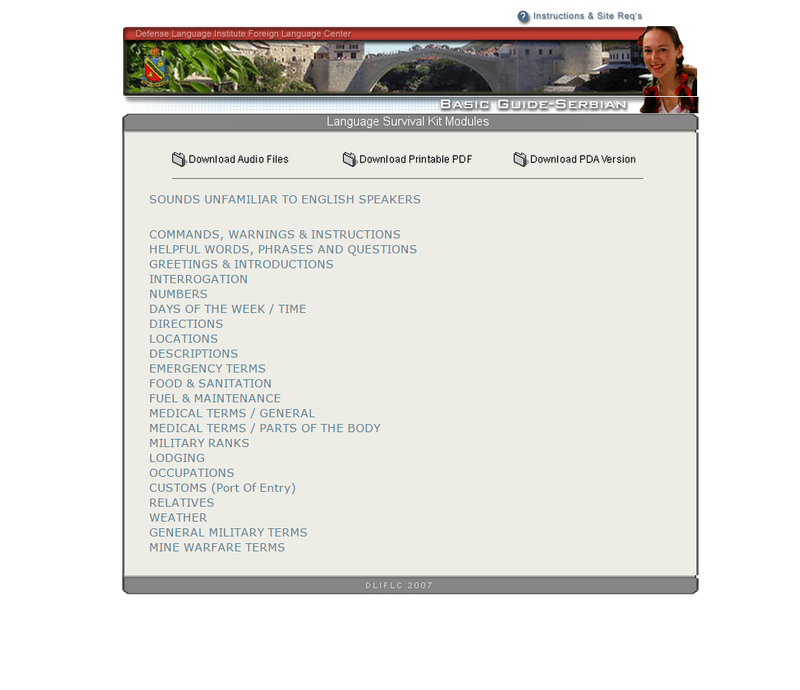 They contain “mission-specific vocabulary and simple phrase in topics such as medical terminology, Civil Affairs, Force Protection, and Military Police” with accompanying audio. As such, vocabulary may be less relevant in some parts than others. Nonetheless, the guide is a good source of useful everyday words and phrases. The audio component is also helpful.